This step might seem simple, but to me it can be very hard. However, this one step can save my sanity (hence the name of this series). 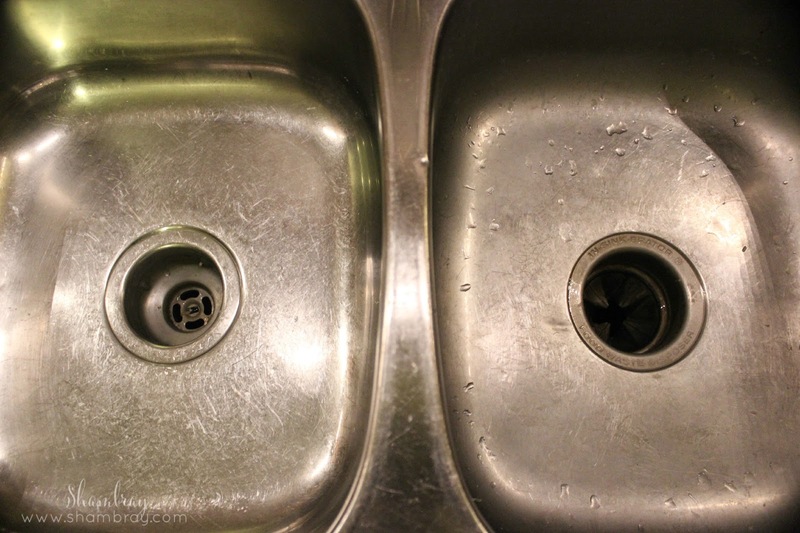 A clean kitchen sink can help me feel like my house is more clean than it actually is. I know. Sounds weird, but it is true. A dirty kitchen sink is that weight on my shoulders that I don't know is there until it is gone. So with that said this step is super simple, but can be hard to do it on a daily basis. 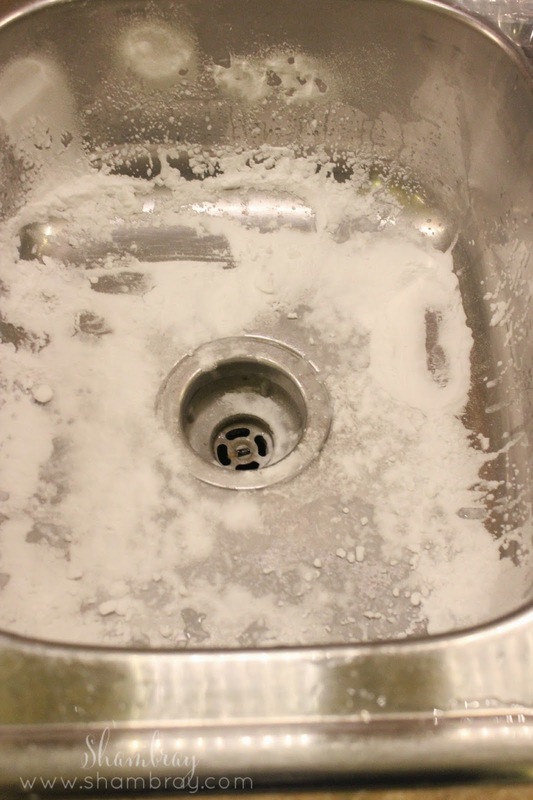 Basically make it a priority to clean out the sink before you go to bed for the night. 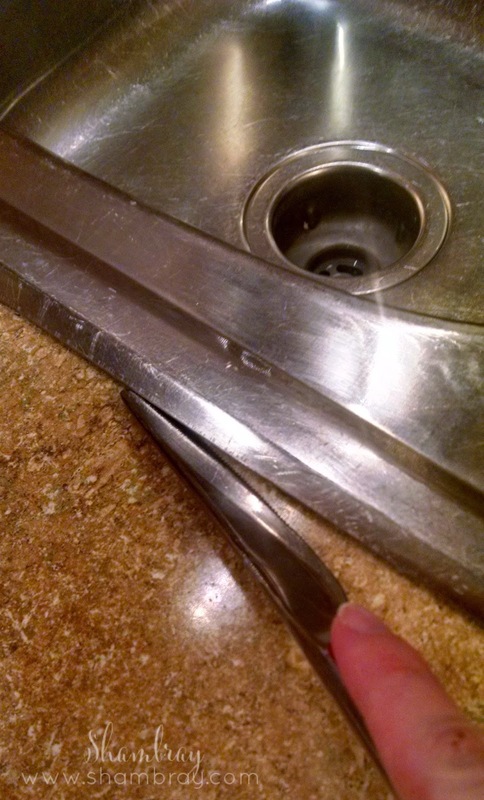 I usually do this right after dinner because I am already in the kitchen and it makes sense to me to do that. Just make sure it gets done and you will feel so much better. I promise. Think with me for a bit about this. You will have dishes when you need them. You will be able to use your sink without having to move a bunch of dishes and/or utensils. You will be able to sleep better at night (only half joking). I started doing this when I found out about Fly Lady. If she stresses one thing more than anything else it is to SHINE YOUR SINK. This is the one thing she says to not skip. If you are starting her cleaning routine she has you start with shining your sink. It is a must. So I decided to try and make it that big of a priority to me as well and it stuck. It really is a must for me too. So here is what I suggest if you are just starting. 2. 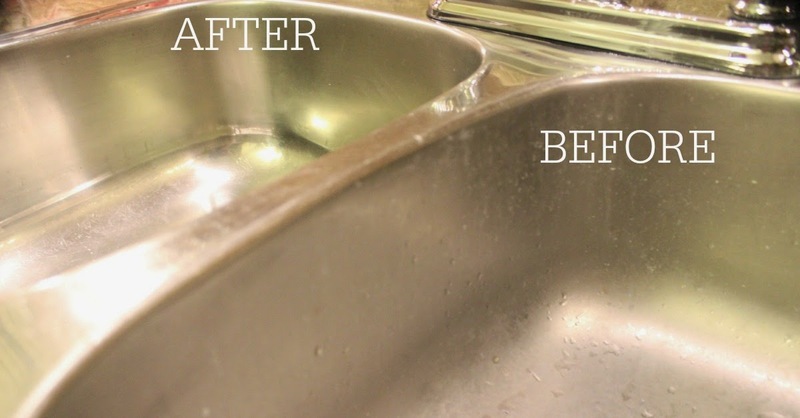 Wash and put away all the dishes in your sink (or put them in the dishwasher to be cleaned). 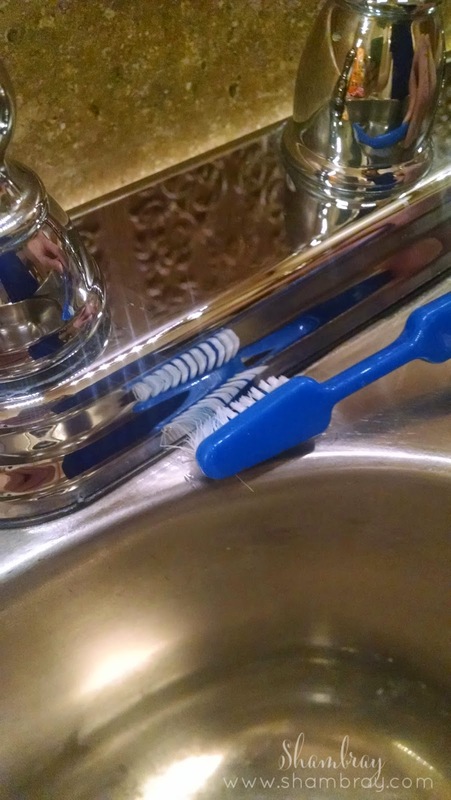 That way you are starting with a cleaned out sink. 3. 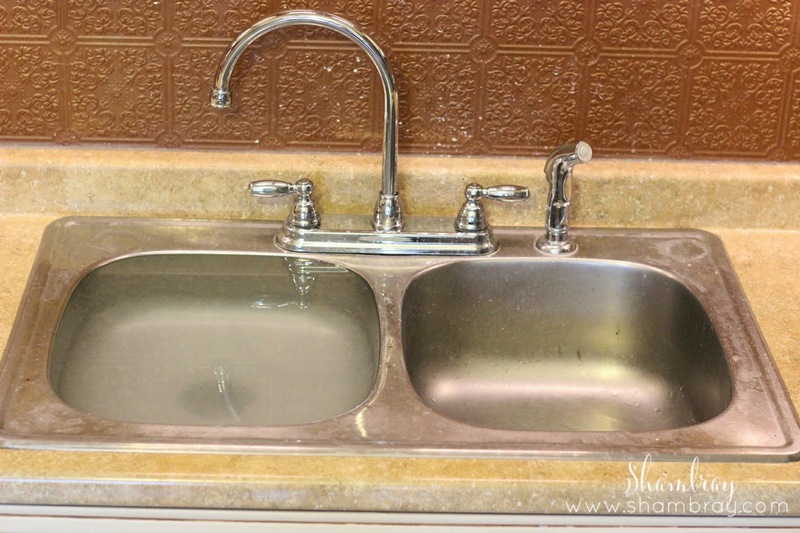 Head over to Fly Lady and read her post about the first time you "shine your sink" and a detailed step-by-step guide on what to do. I have never done step 8 because it is optional and I have never found a need to do it. 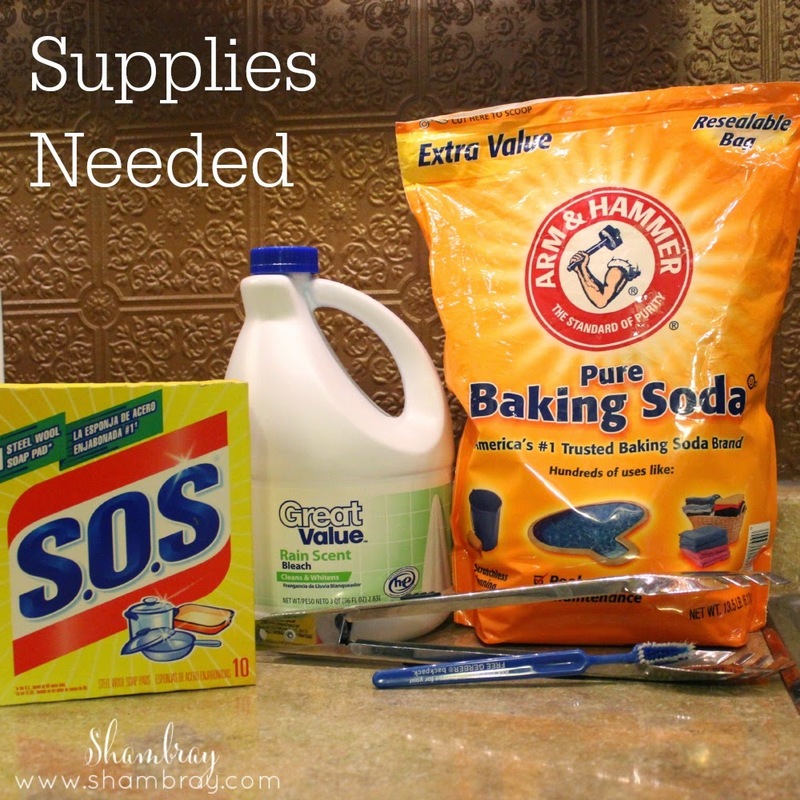 I DO have a stainless steel sink so I do add the step using an SOS pad. I also have put a little olive oil to shine it more if I have neglected my sink for awhile. Step one of the process (doing one side at a time like she says). Look how disgusting the other side is! 4. 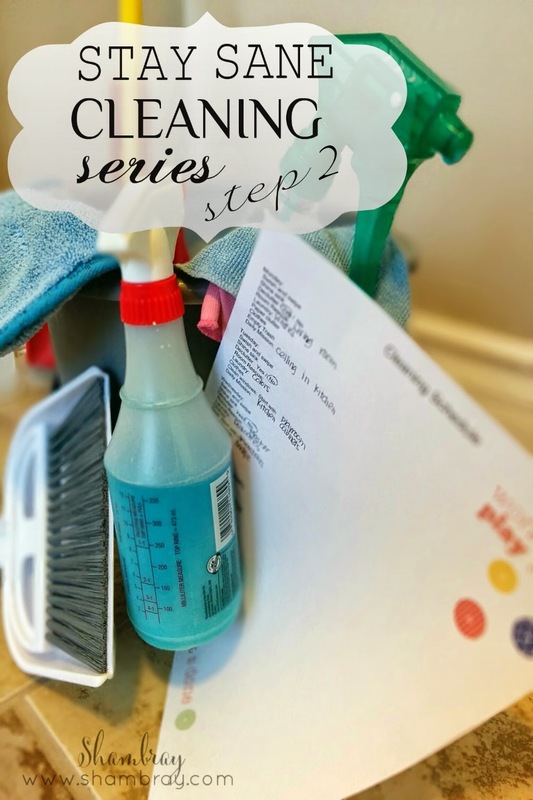 If you do this and keep up on drying out your sink then you won't have to do all these steps again. However, if you are human (we are not going to be perfect all the time with this. Well at least I am not), then you might want to do this when need be. When I miss a few days then I make it a priority to shine my sink again. I basically just do it again when I feel my sink needs some TLC. I hope this helps you during the next few weeks. I hope through all the craziness of this season you can find joy in having a clean kitchen sink. Oh and bathrooms! Please don't forget your bathrooms. The next post will be in about 2 weeks. I had some readers that requested I put the steps closer and I thought it was a great idea. In the meantime enjoy your clean house! Wow, what a transformation on that sink! Great job! Looking forward to what's next. I do Step 1 nearly everyday and just wanted to say it really is as quick as you say (almost painless). 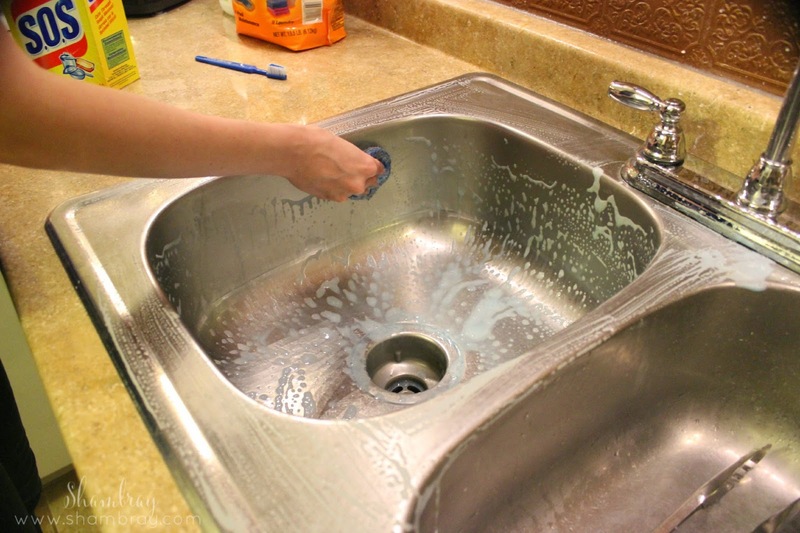 If you keep up with it, the kitchen sink step takes less than 5 minutes once the initial scrubbing is done. Even when I lapse there is not much of a "catch up process". Thank you! It is quite the transformation! I agree. It is so wonderful if you can just stay on top of it, but if you lapse no big deal. Just pick up and start doing it again.